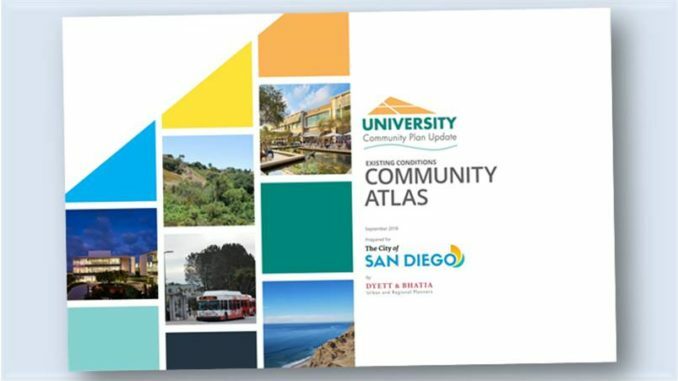 The University Community Planning Group (UCPG) and the City of San Diego are updating the University Community Plan. The updated Community Plan will consider current conditions, Citywide goals in the Climate Action Plan and the General Plan, and community specific goals to provide direction for the long-term development of the community. The University Community Plan Update is a collaborative process with ongoing opportunities for public input. UCCA’s representatives to the University Community Plan Update Subcommittee are Katie Rodolico (principle) and Deanna Ratnikova (alternate). During the update process, Planning Department staff will work with the University community and the public to identify and consider important questions, issues, and opportunities. Community input is essential to develop a plan that is responsive to the need of the community. Comments and feedback are welcome at any time. Dan Monroe, Senior Planner, dmmonroe@sandiego.gov or 619-236-5529.